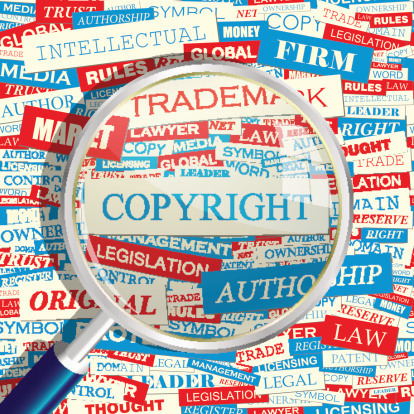 The recent $7.3 million jury award to the estate of the late soul star Marvin Gaye, from singers Pharrell Williams and Robin Thicke, reminded the public of the power of copyrights and the importance of protecting intellectual property. Few small businesses own a hit song, but many possess intellectual property. Everything from a company’s name, logo and website to a restaurant’s recipes and a manufacturer’s process may be important assets that can be protected with copyrights, trademarks or even patents, said Frank Kozak, patent counsel for technology giant Nokia and the former vice president and intellectual property counsel for NAVTEQ. The flip side of this issue is that a small business can end up defending itself against a charge of infringement unless it takes some precautionary actions. Kozak said the first intellectual property issue a small business may face involves trademarks. Kozak also warned small business owners who are developing software to include copyright notices in their work. He said software developers should be careful not to take the work of others and incorporate it into their own, even accidentally. Bill Maddocks, founder and former president of Chicago-based MAC Medical Supply, a medical equipment firm he later sold to his wife, had mixed experiences in navigating the world of intellectual property. Maddocks said he obtained a copyright for a new reporting format for a cardiac monitor, a copyright that protected his product and gave his company with a unique competitive advantage. He advised soliciting legal advice from reputable intellectual property attorneys or peers who have insights into the process. Maddocks, who has worked in the medical supply industry for more than 30 years, said with an earlier company he had renewed patents at a cost of more than $12,000, only to find that new technologies had made those products obsolete. Craig Summerfield, a patent attorney with the Chicago law firm of Lempia Summerfield Katz, said small businesses need to protect their intellectual property and innovations. “A patent is a document that says you can keep other people from doing or using something you created. Small businesses need to know that. It can be an incredibly expensive financial burden to prevent somebody from using that idea. Most people are honest and if they know there is a patent will try to avoid infringing,” Summerfield said. He added that most companies or individuals seeking patents are start ups that tend to have a larger investment and recognize that their intellectual property is vital to their future. Often these are software companies that invest greatly in patent protections to help their business develop and grow. He said getting a patent application on file can cost between $6,000 and $10,000. Responses to patent office rejection may involve changes to the claims that can cost several thousand dollars more. “Those that are more technical in nature are likely to cost closer to the $12,000 range,” he said, while pointing out that the level of complication doesn’t usually affect the number of responses because the patent office works with engineers and scientists familiar with the subject. Amy Ziegler, an intellectual property attorney with the Chicago law firm of Greer, Burns & Crain, said small businesses that have been around a while and start ups tend to have limited financial resources and while trying to attract investors sometimes disclose information that comes back to haunt them. Ziegler said there is a one-year grace period in the United States from when someone discloses information about a product, service or process they are trying to protect. “Way too often start ups unintentionally destroy their rights by failing to sign confidentiality agreements,” Ziegler said. She said certain naming conflicts are inevitable. If two restaurants across the country use the same name, perhaps a family name, that shouldn’t be a problem because they don’t compete and would not be mistaken for one another. “But you don’t want to copy the look, menu and feel of the other restaurant, say, for example, the staff’s uniforms,” she said. He pointed out that customer and vendor lists that include business contacts, price and client orders are intellectual property. Smith cited the example of David Tran, a Vietnamese émigré and founder of Huy Fong foods in California. Tran created the popular Asian-style chile sauce, Sriracha, but failed to secure a trademark. Now food companies around the world are creating their own “sriracha” products, costing Tran millions of dollars in potential royalties or licensing fees and freely using the name of his premier product without his permission. Nokia’s Kozak pointed out that protecting intellectual property shouldn’t stop with confidentiality agreements and copyrights, trademarks and patents. With growing evidence of corporate espionage and foreign countries seeking proprietary information, he urged small businesses to improve their physical plant and data security to safeguard valuable information.